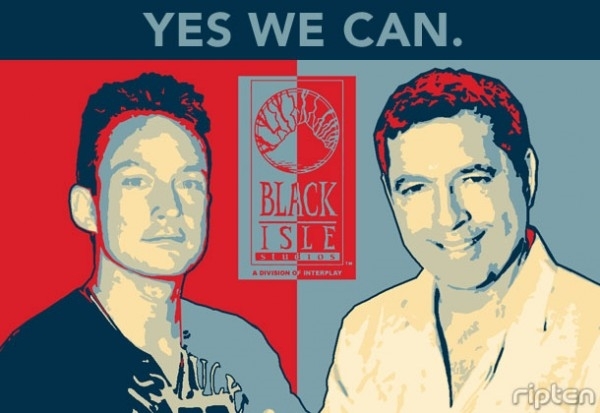 FARGO & AVELLONE TO RE-UNITE BLACK ISLE! (...)Well, we’re probably more likely to be going with isometric, because, graphically, it looks more interesting. It’s all the things that the two games have in common that are going to be in Wasteland 2, except for the party system. Wasteland was more of a party-based game. You start off with your four main rangers, and you swapped NPCs in and out based on what particularly skills they had. All the things that people loved about those two games (Fallout and Wasteland - ED) ? Wasteland 2 will have all of those elements. I feel so much more connected now to the public. Normally, when you’re working for a publisher, you’re trying to get your own vision across, of course. You’re also jumping through hoops to make some guy or group happy, and it’s not necessarily what the fans want. It’s what we have to do in order to get paid. There’s a bit of a disconnect. Now, I’m on the front lines, looking eye to eye with the fans and they’re telling me, “Brian this is what we want. You better deliver.” I like the process better. It’s more personal and more intense. MF: It’s interesting, because one of the things you’ve mentioned directly is trying to avoid a “design by committee” situation that tends to happen in a publisher/developer relationship. How hard are you finding it to balance this large fan feedback with avoiding that situation. BF: I get that comment a lot. At Interplay, what I always did was a vision document, from 2 – 10 pages long, explaining why the 10 or 15 reasons that this project should live, and what its focus and purpose is. So, if you say, “we’re going to have great character portraits,” show me some. If you say, “we’re going to have gritty writing,” then give me some examples. If you can’t give me an example, you probably can’t do it in a game. I always do these vision documents. Once that’s done, the project comes alive. Now, I’m basically doing the vision document with fan input, as opposed to with a publisher’s input or with internal people’s input. It’s all broad stroke stuff: larger world, more content, etc. (...) it’s not as scary as it sounds. People are afraid that we’re going to put in vampires just because one person wants them. No. It’s not going to be like that. That would be a road to disaster. MF: I understand that it was Konami that held the license to Wasteland. Were they planning on doing something with the property? BF: I read that somewhere, and maybe they had it, didn’t use it and let it lapse, perhaps. All I know is that it had expired, which is when I stepped in and got it. I worked a deal with Electronic Arts so I could use the copyrighted material. MF: Gotcha. So, they own the rights to the original game? BF: Well, I should say that they have the rights. I don’t want to get into the semantics. MF: Have they contacted you since you started the project? BF: They knew about it advance and they said, “that’s cool,” and struck the deal with me. I can’t say anything bad about them. MF: How many publishers did you pitch Wasteland 2 to before going the Kickstarter route? BF: Every major one. I was turned down by everybody. MF: What kind of reactions did they give you? I’m assuming that the first pitch video, which was unbelievably funny, wasn’t so far off the mark. BF: There is more tension than you can believe. You would not believe the stories you hear about how developers are treated by publishers these days. It is abysmal. MF: Why don’t we hear more about it…? BF: Because they are afraid to talk, because they’ll never get another contract if they do. That’s why. You cannot believe… it’s awful. It’s really bad. You should try to dig in and get some stories out there. Look at the most recent one with those poor guys at Obsidian. They did Fallout: New Vegas, the ship date got moved up and, who does the QA on a project? The publisher is always in charge of QA. When a project goes out buggy, it’s not the developer. The developer never says, “I refuse to fix the bug,” or, “I don’t know how.” They never do that. It’s the publisher that does the QA, so if a product goes out buggy, it’s not the developer’s fault. So, (Fallout: New Vegas) goes out buggy and they didn’t do the QA, their ship date got moved up and they missed their metacritic rating by one point. Did they get a bonus? No. Do you think that’s fair? I tried to get some of my publisher friends, who I used to make a lot of money for, to donate. Do you think they donated? No. Their employees did. MF: Does working with the publisher inflate the budget? BF: In my experience, yes. BF: At least 25%. In some cases, 35%, because sometimes they insist on taking over functions like doing all the casting and audio recording, where they would spend way more than what we would, if it was our money. I mean, it is our money, because it’s advances, but they insist on taking it over. They can trump the cost up. From my last project, (Hunted: The Demon's Forge, published by Bethesda -ED) I wasn’t allowed to do the cinematics. And what’s the first thing you see? BF: Right… and I didn’t get to do it. There is so much that the publishers do that the developers get negatively affected by. As a developer, it’s frustrating. The developers don’t want to say anything because they know if they did the publishers aren’t going to want to do business with them. I thought this logo'd fit well here. MF: You mentioned Obsidian. Have you spoken with them? BF: I talk to them all the time. MF: Would you consider working with them, especially given their current troubles… maybe reform the Black Isle Voltron? BF: They are still working on projects. It’s not like they are going away. I have a lot of love for those guys. MF: What about the people from Interplay? Honestly, us old guys would love to see Black Isle reborn in some form. BF: Well, if this project works, it will give me a platform for doing things again. I haven’t had an engine… or I’ve had an engine with no gas. If this continues to work, and certainly we’re off to a great start—this game has got to be great—if I deliver that, I think there would be a chance to build it up again. Nothing would make me happier. Michael then just had to go and throw this at MCA, didn't he? Well, he did. Avellone's response? Brian gave me my first job in the industry, I loved being at Interplay while he was there, and I love Wasteland. If there was a way to work both with Obsidian and work with Brian and InXile, I would do it. BF: Every single one of those things in that pitch video happened. The only thing that I elaborated on was the Farmville request, because that was done via Facebook, rather than on the phone. But it’s true. Wasteland 2 is a GO! 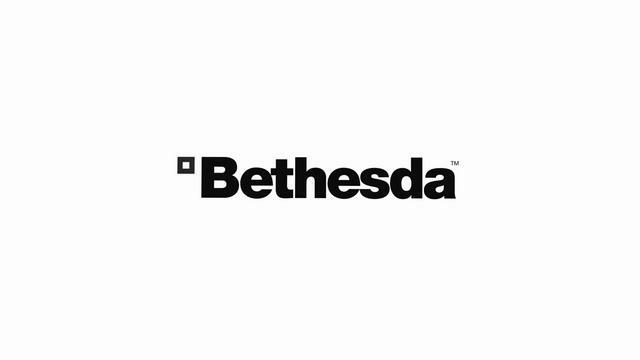 Updated: Fargo and inXile working for Bethesda? Inxile Hinting again at Wasteland 2? Successor to Wasteland/Fallout in the works? Sample of Mark Morgan's music for Wasteland 2! Job Opportunity for Wasteland 2? inXile's new project: Wasteland Online?